It is believed that the magnet, besides having the power of attracting iron, is also endowed with many mystical and curative powers. Keeping in view these and other innumerable positive properties of the magnet and with the objective of deriving the maximum benefit from its qualities. 'Magnetotherapy'-the system of treating patients through the medium of magnets-is discussed in this course. A Science and an Art Magnet therapy is both a science and an art. This science as magnetism is similar to, and works on the lines of, electricity and its application is an art as it involves the selection of magnets of different strength. To different parts, to relieve different ailments of the body. It is a system of treatment, which covers a vast field of therapeuties and can relieve almost all functional defects of the various systems working in the human body. 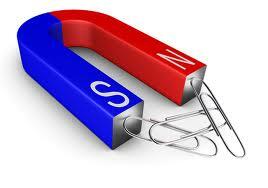 Magnet therapy is based on natural laws and principles and is not a magic or miracle. It means carrying out treatment of the sick with application of magnets over the suffering part of the body. DURATION Four Months for Correspondence & Internet. · You can consider Magnet Therapy as your profession.